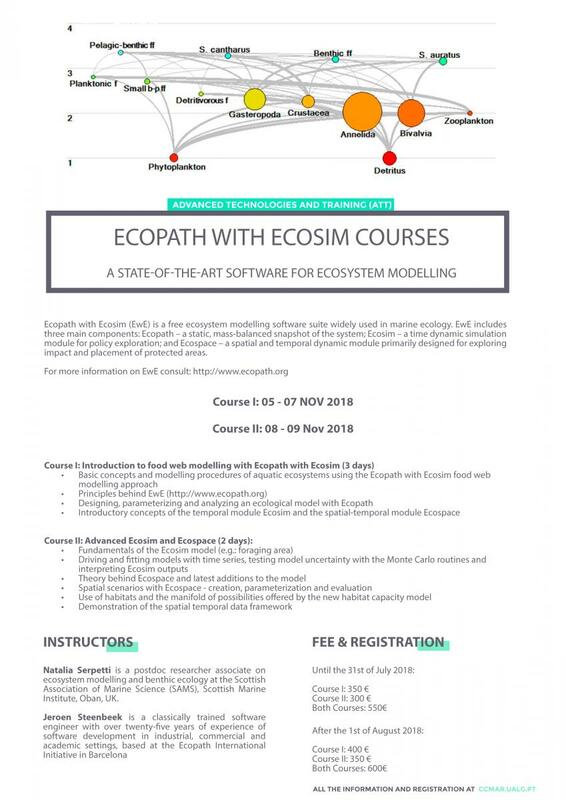 Ecopath with Ecosim (EwE) is a free ecosystem modelling software suite widely used in marine ecology. EwE includes three main components: Ecopath – a static, mass-balanced snapshot of the system; Ecosim – a time dynamic simulation module for policy exploration; and Ecospace – a spatial and temporal dynamic module primarily designed for exploring impact and placement of protected areas. For more information on EwE consult the website. Natalia Serpetti is a postdoc researcher associate on ecosystem modelling and benthic ecology at the Scottish Association of Marine Science (SAMS), Scottish Marine Institute, Oban, UK.